MotorsportPRO.com positioned to be the future global hub for safety & racing equipment for both club and professional racers alike. 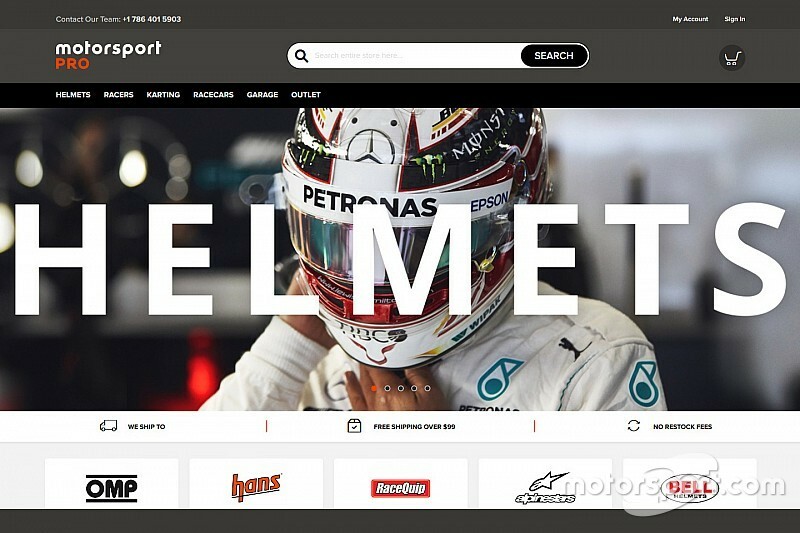 MIAMI, Fla. - June 14, 2018- Motorsport Network is expanding its global e-commerce platform with the launch of MotorsportPRO.com, an online retail website catering to the auto racing enthusiasts and their racing & safety equipment needs. The site is a retail and information hub for racing equipment standards and the world’s leading racing equipment including helmets, race suits, gloves, shoes and in-car equipment (including fire systems and restraints and harnesses to meet any need of a broad assortment of drivers, from local track day enthusiasts to professional touring series racers). Motorsport Network already has an extensive ecommerce platform including Motorstore.com, which retails team merchandise and accessories, and Giorgiopiola.com for the new Giorgio Piola timepiece collection. The Introduction of MotorsportPRO.com will provide an entrance into this new retail category and offer another service to Motorsport Network’s fan audience. “The launch of MotorsportPRO.com is a natural progression for Motorsport Network’s e-commerce capabilities and our goal to become the online home for all facets of motorsport around the world,” says Colin Smith, CEO Motorsport Network, “Our sites already provide more than 260 million monthly page to readers around the world – many of those readers not only follow the sport, but also regularly compete themselves. Motorsport Network has experienced rapid expansion in the past two years to become the world’s largest independent automotive and motorsport-related digital platform, connecting motorsport and automotive enthusiasts around the world. It has recently entered into the global motorsport ticketing market with the acquisitions of BookF1.com, the largest digital ticketing operator in the U.K. for Formula 1. The launch of MotorsportPRO.com further solidifies Motorsport Network’s position as the largest global hub in the Motorsport Industry that offers Motorsport fans the ability to follow their passion and read, watch, connect, experience and now shop for and research racing safety equipment on a single global platform.